I love drinking water and I always make it a point to drink 8 - 10 glasses daily. Most of the time I drink it plain, but sometimes, I infuse it with whatever fruit I have in the fridge. 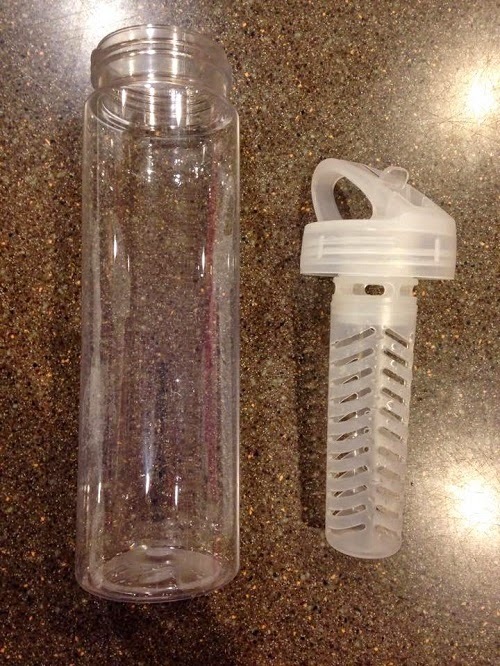 I was very thrilled when I found out I was one of the chosen bloggers to review the Infuser Bottle by FlavFusion. Easy to use and makes delicious natural fruit flavored beverages! Liquid flows around and through the fruit to flavor the drink. This is my first time to use a water bottle infuser. Normally, I would just slice a fruit and dump it in a cold glass of water and that's it. 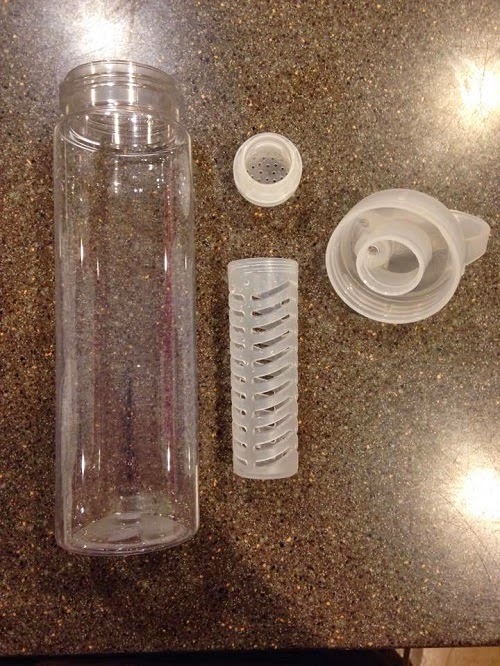 Unlike any other drinking bottles, this one has a basket-like infuser in the middle. It is made of plastic, but it looks durable enough and it's BPA free. What I love about this bottle infuser is the sipper is placed directly on top of the infuser, so when I take a sip, I get to savor the flavor of the fruit right away. It makes the water tastier and fruitier. I tried tilting the bottle while it's full and there was no leak. 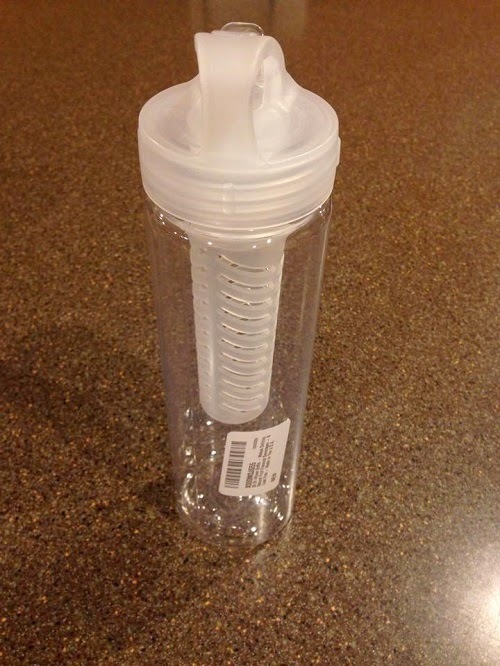 That means the lid screws perfectly onto the bottle, so your things are safe if you put it inside your bag. 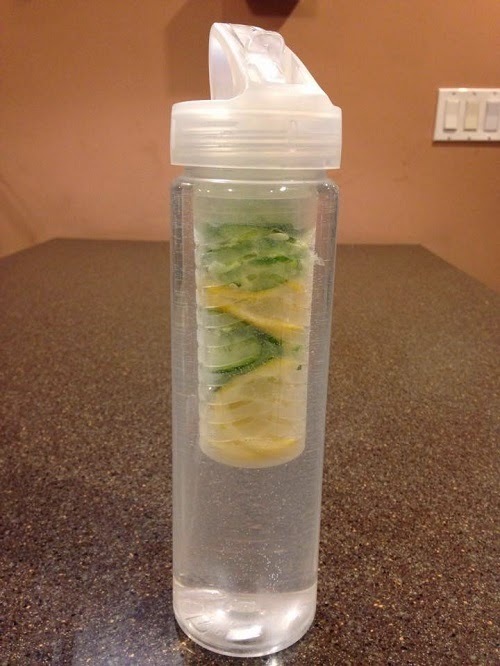 Aside from orange and lemon, cucumber is also one of my favorite fruits to add to my water. I stuffed the "basket" with slices of lemon and cucumber and filled it with cold water. I tell you, it's very refreshing and the water smells heavenly. Overall, I had a wonderful experience with this infuser bottle and I'm drinking more water because of this. This is a great way to encourage someone who doesn't like drinking plain water to drink more. Adding a fresh twist to the water will definitely make everyone drink more and become healthier. I highly recommend this! Infuser Bottle by FlavFusion is available on Amazon. 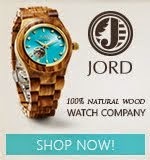 For more information about the product, please visit Big Easy Brands.